USB300 is a versatile and affordable universal programmer which supports more than 2000 devices from various manufacturers.It’s USB interface with Desktop or Laptop with fast programing makes it genius. It has provided a 40 pin universal ZIF (ARIES) socket for easy insertion of devices in DIP package. 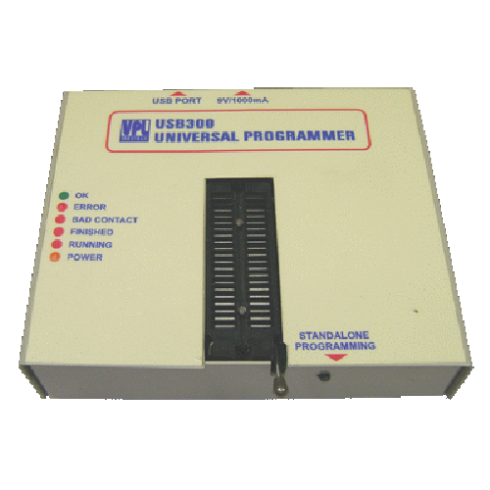 The external DC power supply provides adequate power to program devices of different voltages. 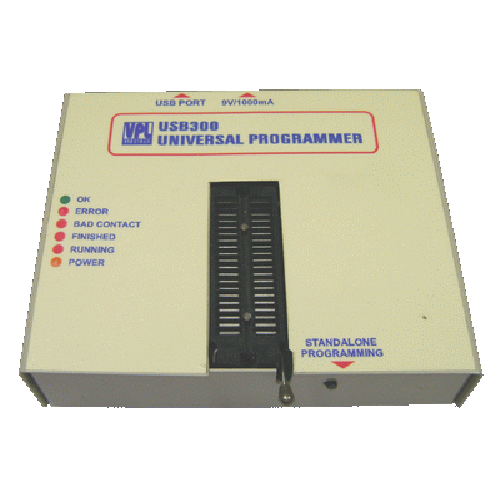 This programmer is best suited for Electronic Industries, Engineering Students, Technicians and for production purpose. Free life time software support. Triply indicates the operating result: displayed in the window, in the LED lamp and optional buzzing.